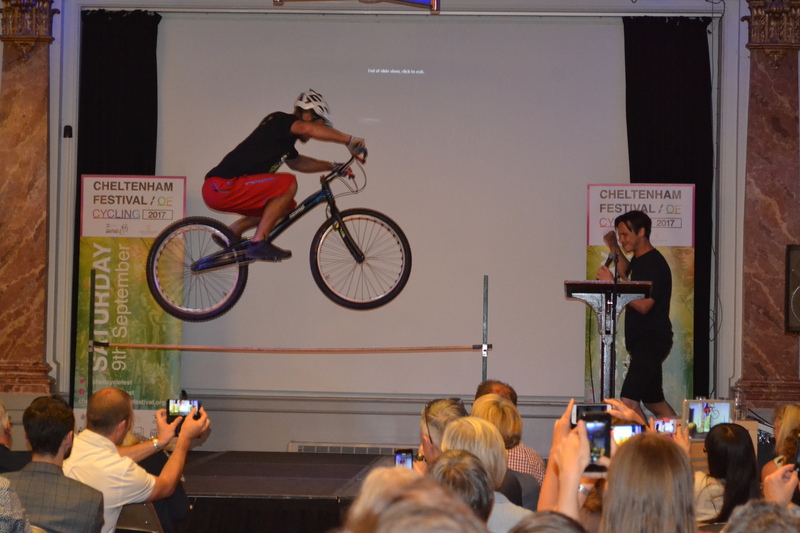 A jaw-dropping stunt bike demonstration, part of which involved the Mayor of Cheltenham, a cyclist riding on stilts and a host of invited guests celebrated the Cheltenham Festival of Cycling launch on Wednesday 14 June. 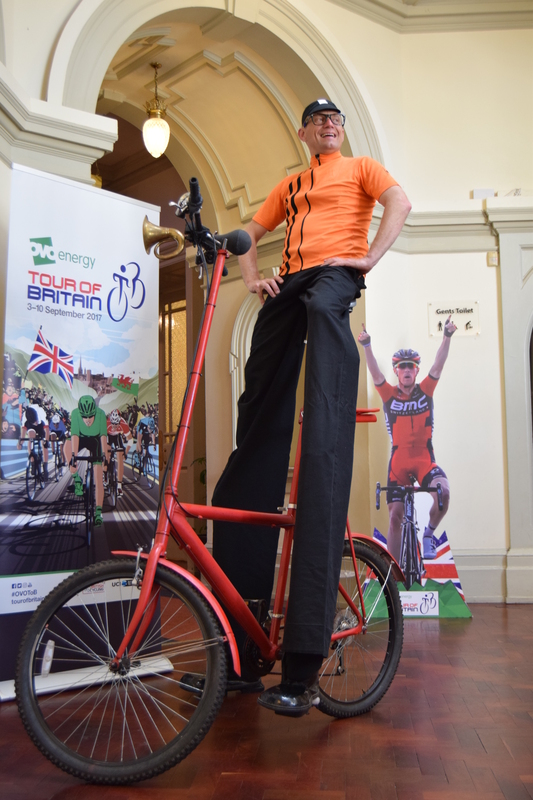 This latest addition to the town’s impressive festival line-up is inspired by the OVO Energy Tour of Britain cycling race which will see competitors racing through the town to Imperial Gardens to be the first to cross the finish line of the Tour’s seventh stage.  On 9 September, Cheltenham will be the main thing occupying the minds of some of the top cyclists as they set off from Hemel Hempstead, and push their bodies to the limit to cope with the gruelling 186kms to reach the finishing line first. 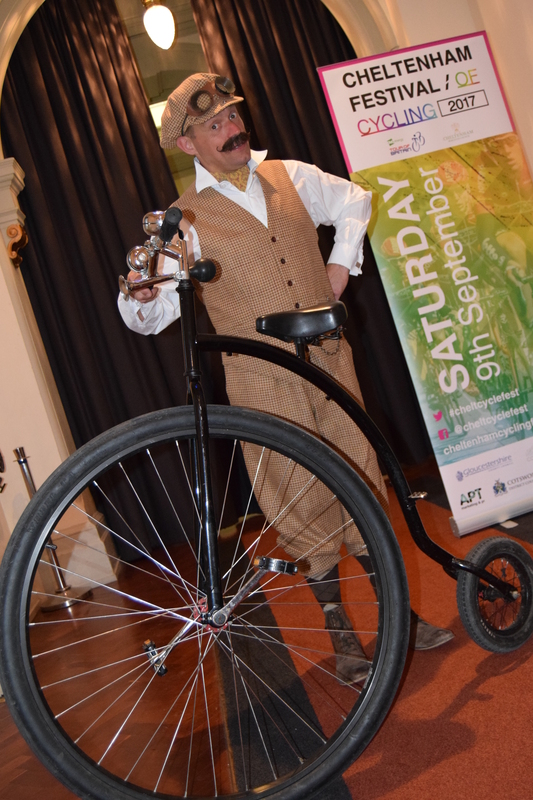 However, whilst this is going on, fun will be the order of the day for everyone awaiting their arrival in the town. 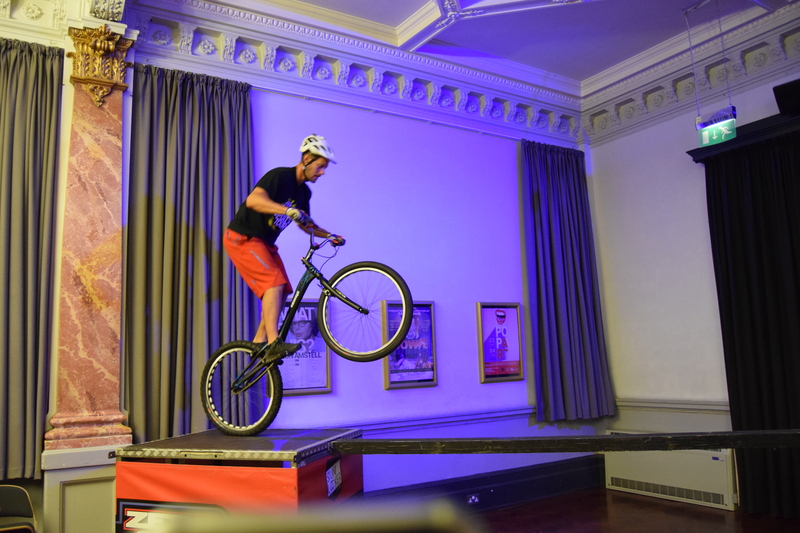 The Cheltenham Festival of Cycling will see all sorts of activities, both cycling and non-cycling, happening in various locations throughout the day. 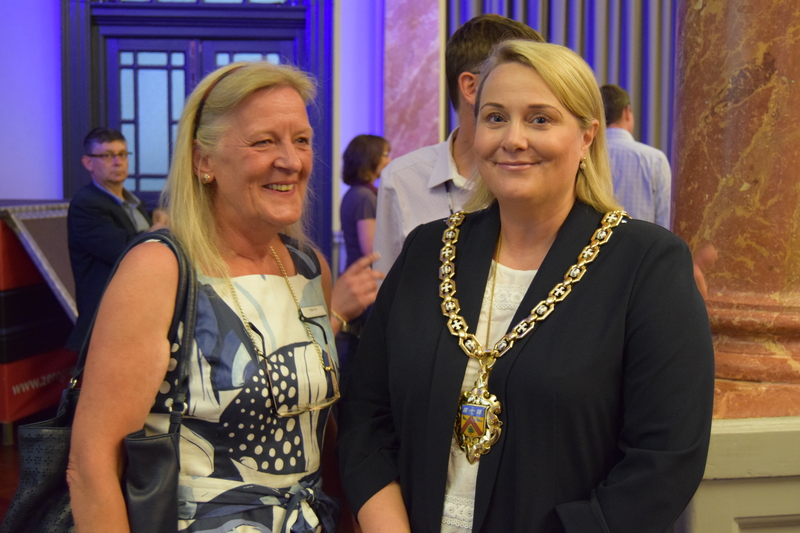 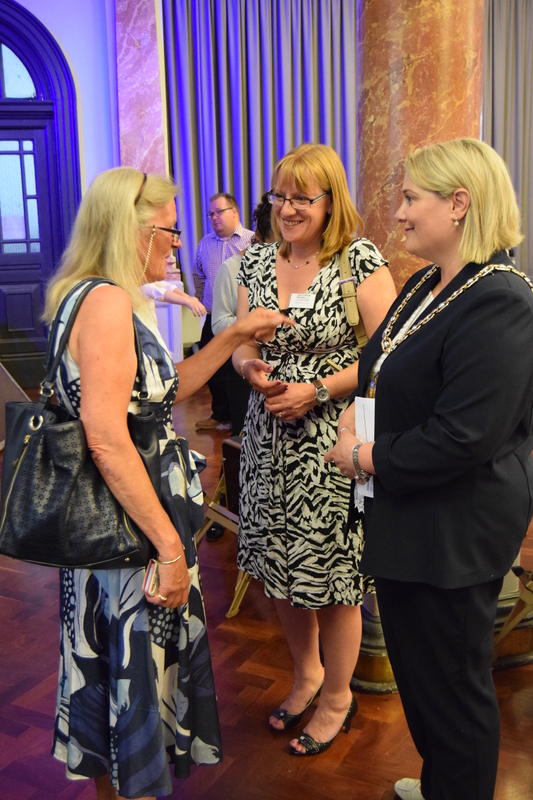 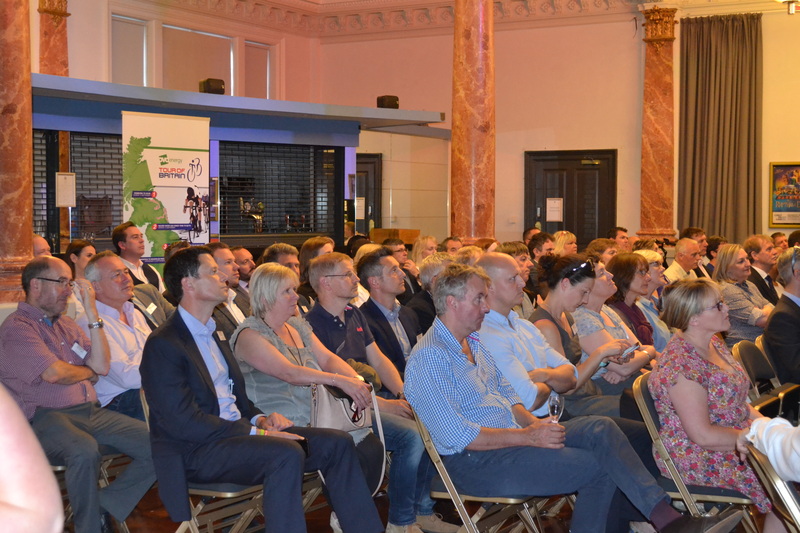 Over one hundred business attended the event at Cheltenham Town Hall last night and heard all about the plans for the festival and the opportunities for local businesses to get involved. 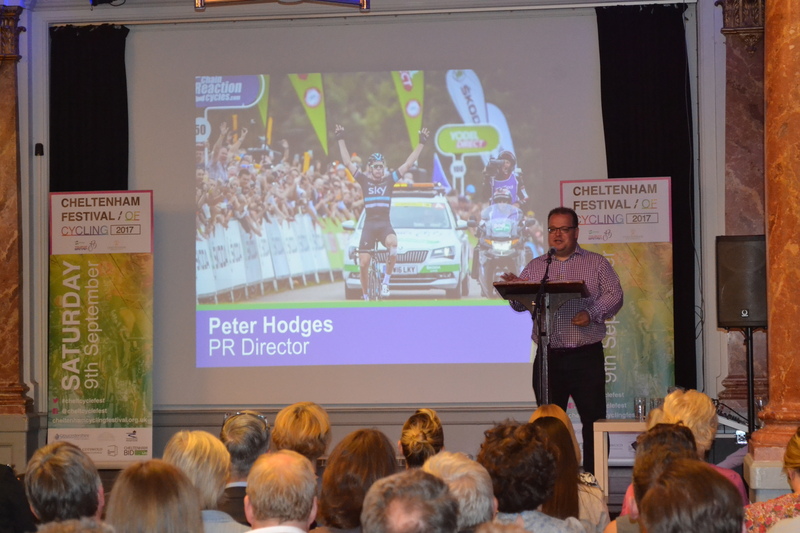 From naming rights to finish line branding and lamppost pennants to corporate hospitality, there are many ways that businesses and community groups can be involved. 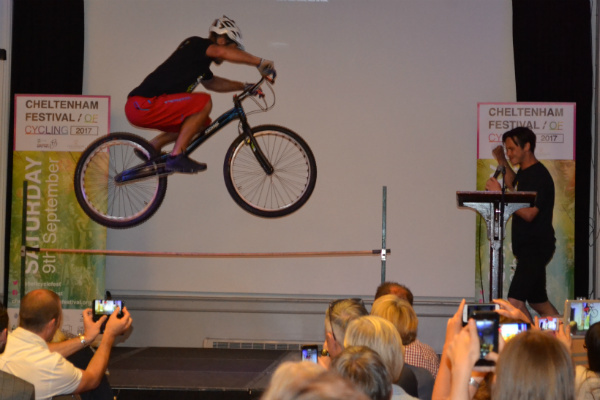 The festival will launch a three-year campaign to help more people discover the fun of being active and getting out on a bike, working alongside the national campaign to encourage people to take 300 non car trips per year. 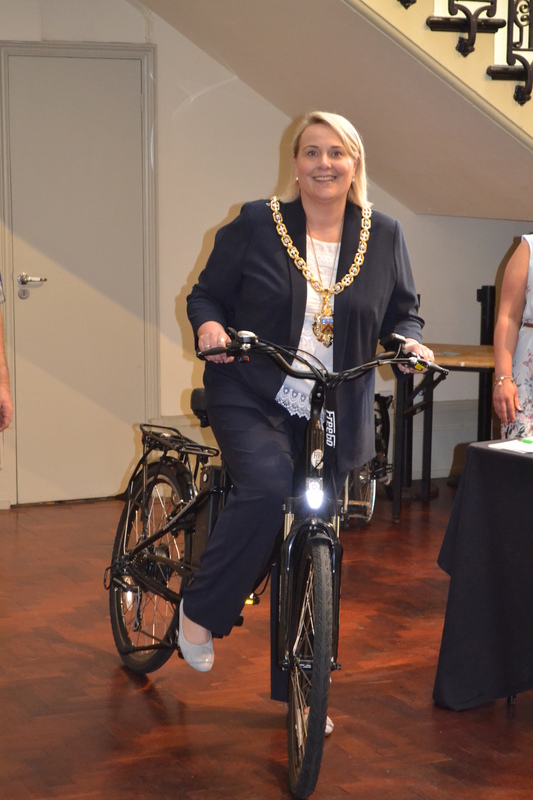 During the next few months, plans will be drawn up that focus on how to encourage more people out on their bikes, changes to infrastructure and more information on where to ride in and around the town, creating a lasting legacy from the Tour. 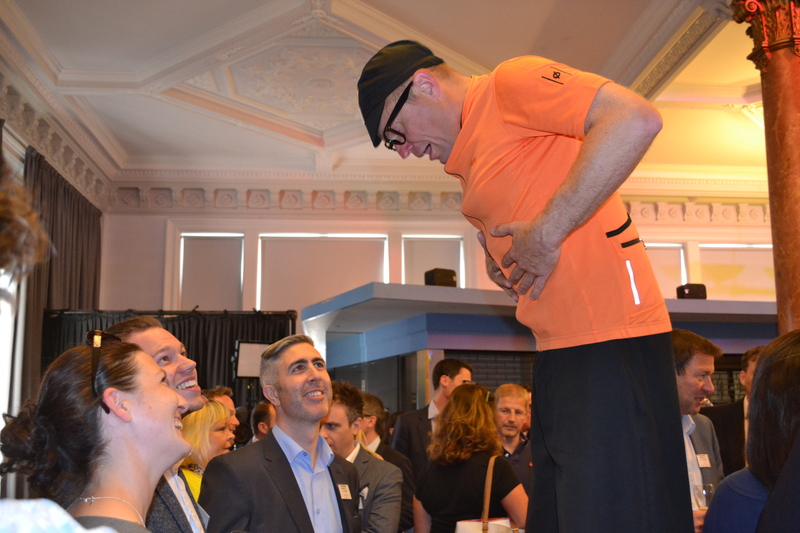 The Cheltenham Festival of Cycling featuring the OVO Energy Tour of Britain is organised by company Sweet Spot and by Cheltenham Borough Council. 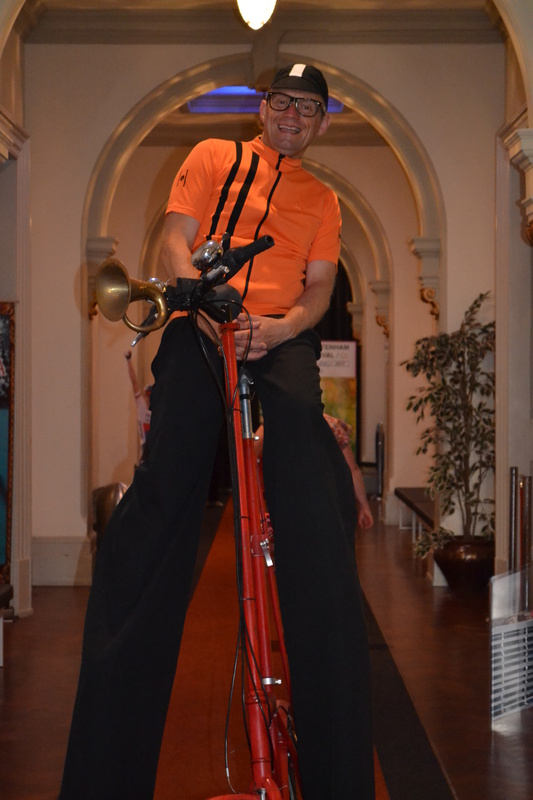 It will take place on Saturday 9 September and feature the finish of the seventh stage of the Tour in Imperial Gardens.